Debuting at the FOE Monster Invitational is the newest Killer Culture release! As fast as the Joint Killer Culture Defense Force (JKCDF) can develop new weapons to combat the Killer Culture, new threats seem to emerge. These new Microcultures are just as fearsome and dangerous as their larger kin, but capable of swarming en masse! As part of the Monster Invitational Show, Jim (FOE’s esteemed owner) was looking for smaller goodies from the contributors that could be up at the counter looking pretty. 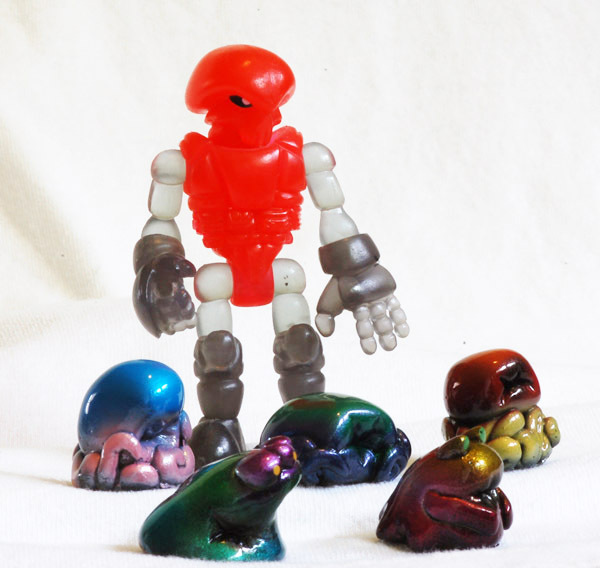 I’ve had some of these Micros sculpted for a while now, so the opportunity seemed perfect to get a couple more done and get a new mold made! I got some nice feedback on the prototype Micro featured in the TAG Battle Pack, so it seemed like good timing to get cranking on more. 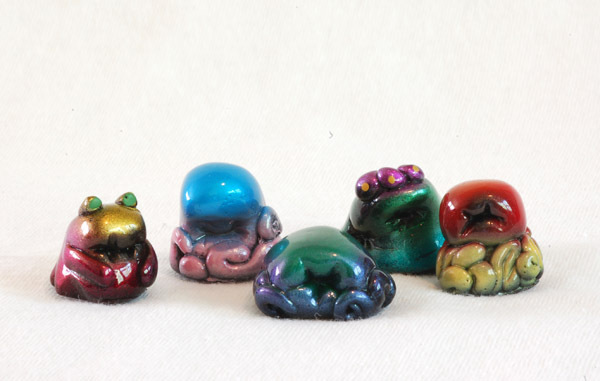 These guys will be available individually for just $5 exclusively at FOE, show opening July 8th. 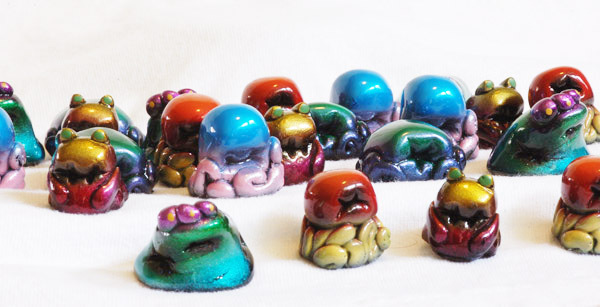 For $5 you get a one-inch resin booger sprayed with pretty Monster Kolor. 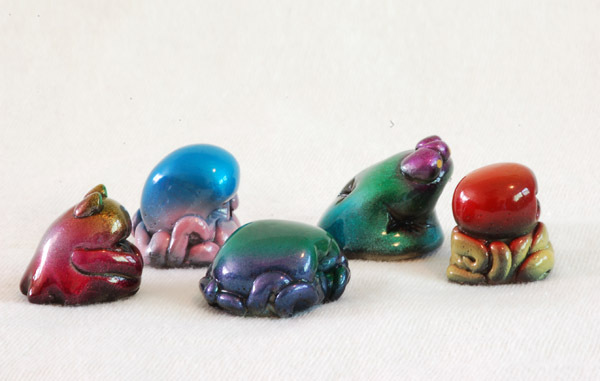 As an added bonus and some play value, each Micro also features a small rare-earth magnet in the base, so you can stick them to your fridge, desk, pet robot, or wherever! With Wraith Pheyden for scale. Lots more pics after the jump!